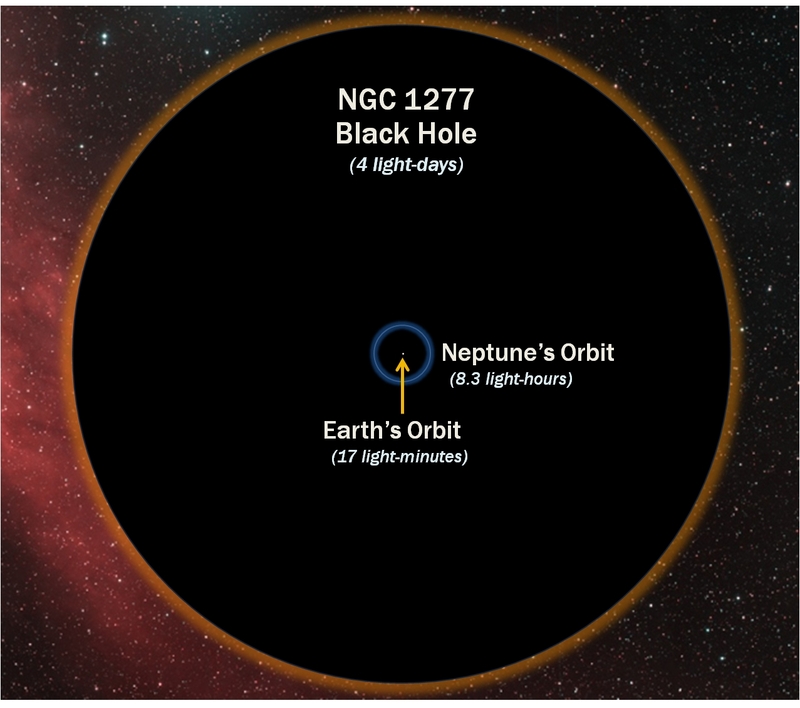 This diagram shows how the diamater of the 17-billion-solar-mass black hole in the heart of galaxy NGC 1277 compares with the orbit of Neptune around the Sun. The black hole is eleven times wider than Neptune's orbit. Shown here in two dimensions, the "edge" of the black hole is actually a sphere. This boundary is called the "event horizon," the point from beyond which, once crossed, neither matter nor light can return.